We very recommend that read the details, the programs as well as seeing the highlight pictures those included in this difference package before submit the booking. Jamesbond Island + Pingkan Mountain "The must see places" which is very popular for tourist all around the world. James Bond Island, everyone knows that this place is the main point for James Bond 007 Movie filming. But not many people know there are so many caves and many interesting points - Sea Shell Beach, 2 Panels of Stone leaning, the caves etc. on. 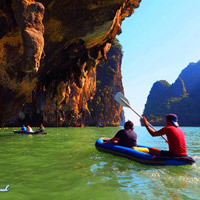 Hong Island for canoeing: The Phang-Nga Bay is very wide, there are so many mountains and caves on the bay. However, "Hong Island" is accepted as the best for canoeing and the most beautiful to see. The trip stop at Hong Island, 2 people for 1 canoe boat with a paddle guide. 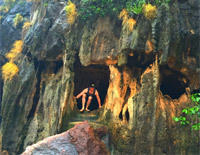 We cruise the canoe to see around Hong Island and go through every caves. It is a very adventure and relaxing activity. For sure that you will be happy. 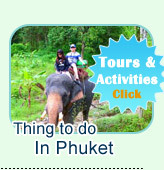 The trip take you up on the hill and look on to the special point "Sa-met-Nang-she" of Phang-Nga Bay. The picture of the view in front of you is like a master piece of Top Artist. Wonderful Boat – Comfortable: This trip use a special air condition comfortable boat cruising pass the Phang-Nga Gate Way into the Phang-Nga Bay. Our boat is the modern cruise comfortable boat; there are 3 floors and Roof top Cabin. It has a great place for passengers, Great Buffet Lunch Restaurant, Nice corner for sighseeing and make a wonderful photo. All around the boat can take a nice view of Phang Nga Bay. 07.30 AM: Pick-up from hotel and transfer by air-condition van. Depart from the Pier to Panak Island and hong Island, enjoy canoeing among the beautiful mangrove forest. Have a great buffet lunch on board and cruising sightseeing koh saang, loh lekkud and koh yang. 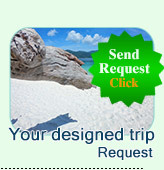 Depart from Jamesbond sightseeing Koh, Khai, Koh Nakae, Koh Kaya and Koh Nokkhum. 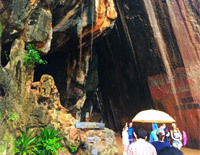 Arrive at Klong Kien Pier and go to visit view Point, Sa-met Nang-she Unseen of Phang Nga. 18.00 PM: Depart from Sa-met-Nang-she and transfer to the hotel. 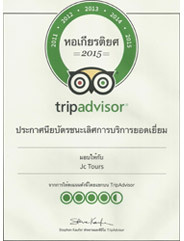 - 1,200 Baht/person for child(3-10 years old).